Leslie “Ike” Atkinson is one of U.S. history’s most original gangsters. According to law enforcement sources, he and his gang smuggled, by conservative estimates, 1,000 pounds of heroin annually from Bangkok, Thailand, to U.S. military bases during their period of operation from 1968 to 1975. 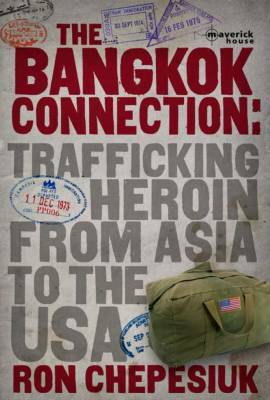 The Bangkok Connection: Trafficking Heroin from Asia to the USA, chronicles the story of Atkinson, a charismatic former U.S. army master sergeant, career smuggler, card shark and doting family man whom law enforcement agencies code-named Sergeant Smack. Sergeant Smack’s criminal activities sparked the creation of a special DEA unit code-named Centac 9, which conducted an intensive three-year investigation across three continents. Sergeant Smack was elusive, but the discovery of his palm print on a kilo of heroin finally took him down.